On the second of four days of hearings before the UN's top court in The Hague, Malabo pushed its case against France which it accuses of breaking conventions on diplomatic relations and immunity. Ties have strained between the two countries since Malabo's vice president, Teodorin Obiang, was prosecuted by a French court on charges of embezzling 150 million euros ($180 million) of public funds to finance his jet-set lifestyle. 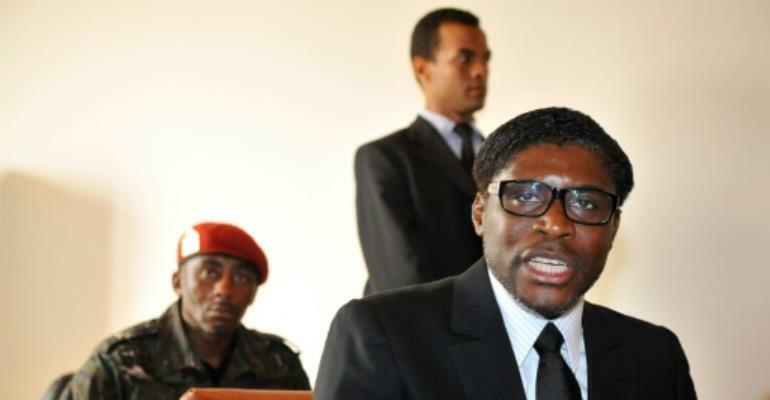 Obiang, 48, the son of long-time President Teodoro Obiang Nguema, was tried in absentia and sentenced in October to a three-year suspended sentence for corruption. He was also slapped with a suspended fine of 30 million euros ($35 million). But Equatorial Guinea sees the case as "a flagrant violation which has given rise to deep indignation in my country," said Carmelo Nvono Nca, Malabo's ambassador to the Netherlands. "Such an injustice cannot be allowed. The indifference shown by France to our sovereign rights has had important repercussions," he told the International Court of Justice. This was "undermining" his country's "ability to manage its international relations," he argued. Malabo's case "involves fundamental principles of international law, principles that are essential to order the relations between states," added lawyer Michael Wood. "Principles that are even more essential in today's troubled world." Equatorial Guinea had urged the ICJ in 2016 to order the French courts to suspend the proceedings against Obiang, but the tribunal refused to intervene. On Monday, France called on the tribunal, set up by the United Nations to rule in disputes between nations, to throw out the case, arguing the judges had no competence to hear the matter. Paris accused Malabo of seeking to "paralyse" French criminal procedures in the top-level corruption probe, which came after nearly a decade of lobbying by Transparency International and another group, Sherpa. French judges have also been probing allegations of corruption against Republic of Congo President Denis Sassou Nguesso, and Omar Bongo, the late president of Gabon. The case sets a precedent for France which has long turned a blind eye to African dictators pouring their ill-gotten gains into Parisian real estate and luxury products. France delegation member Alain Pellet said Monday that Equatorial Guinea was attempting to "slow down, or even paralyse the criminal procedure launched in France." The decision to take the matter to the ICJ was a bid "to give their case more prominence" argued Pellet.